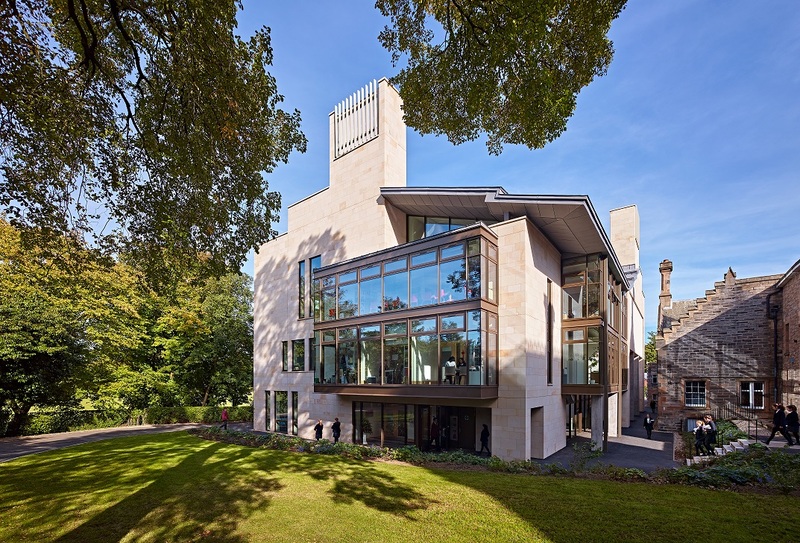 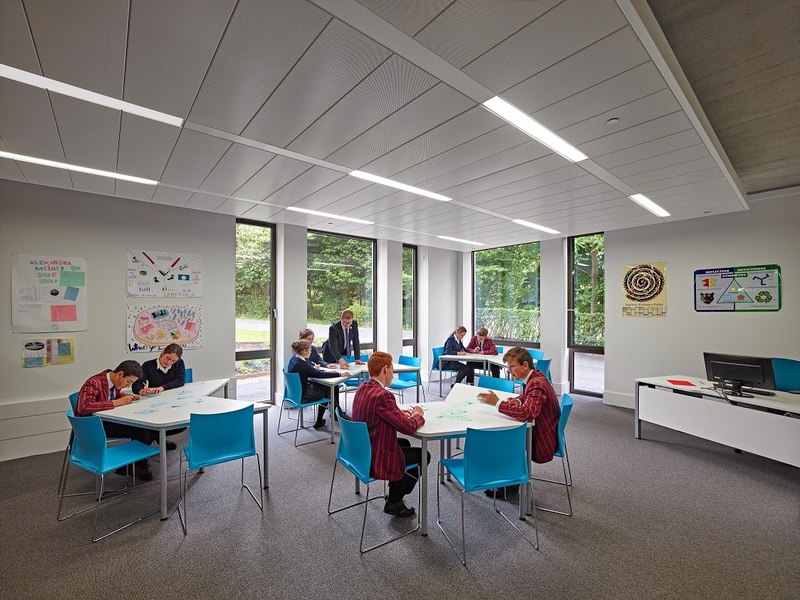 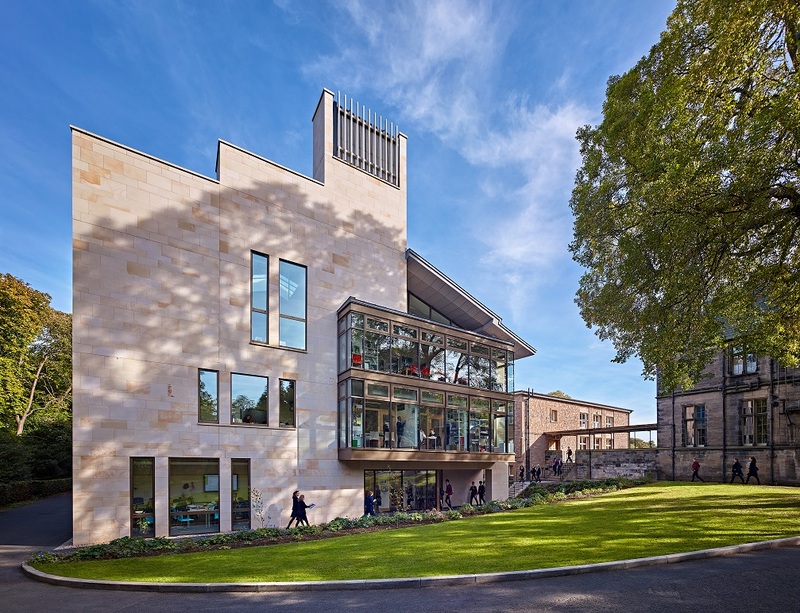 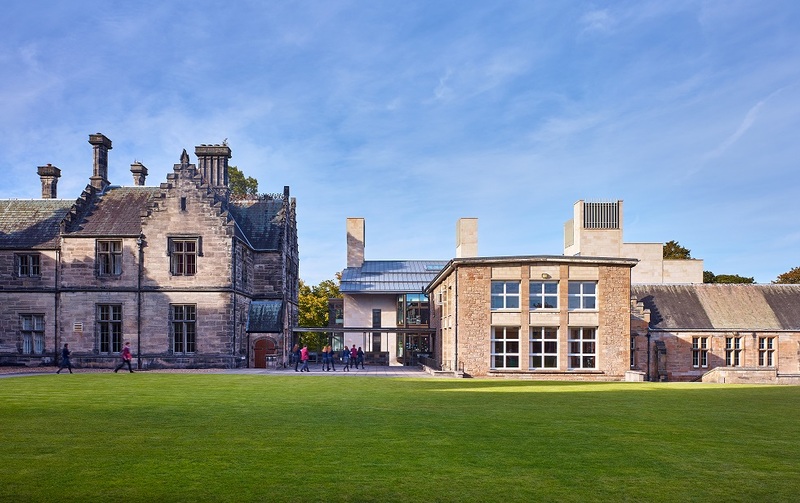 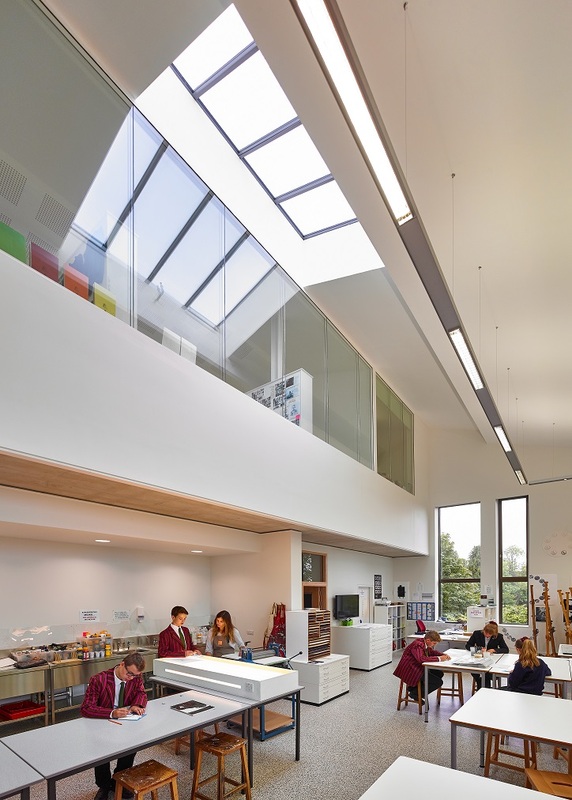 The Spens Building, involved a new 4 storey post-tensioned concrete framed teaching block extension and refurbishment of the historic teaching building, within the impressive grounds of the spectacular Fettes College. 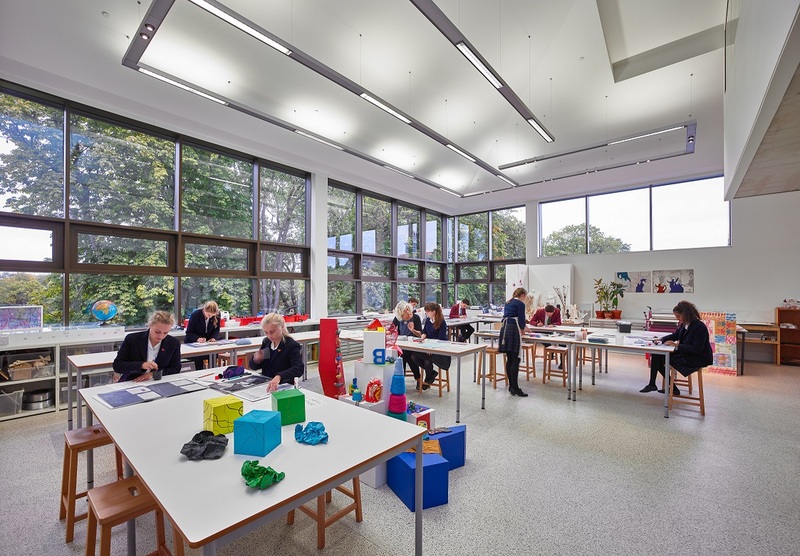 The teaching block marked a high tech modernisation within the campus, covering a number of faculties, including traditional class rooms, along with bespoke spaces catering Arts Dept. 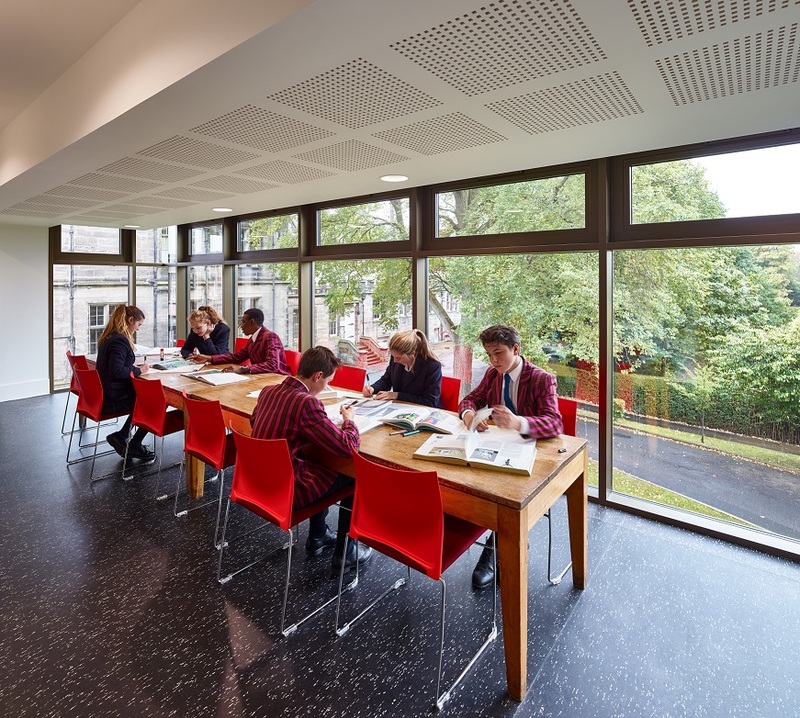 with light-filled expansive double height Arts Studios and a high specification music department. 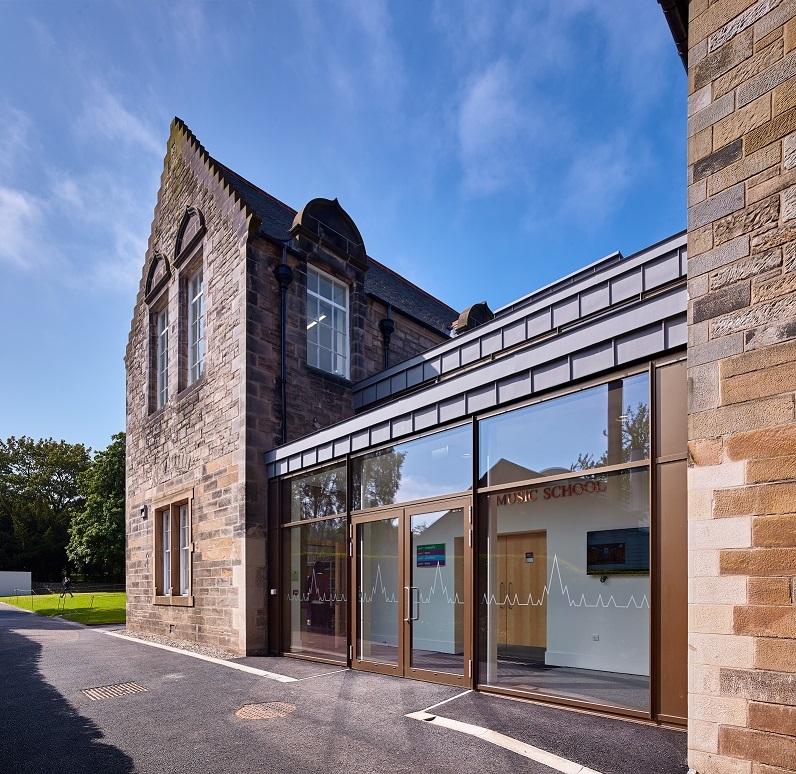 The music department incorporated bespoke specialist sound proofed rehearsal rooms, which were partly retrofitted and integrated into the historic fabric of the old building, which required structural strengthening and modification to accommodate. 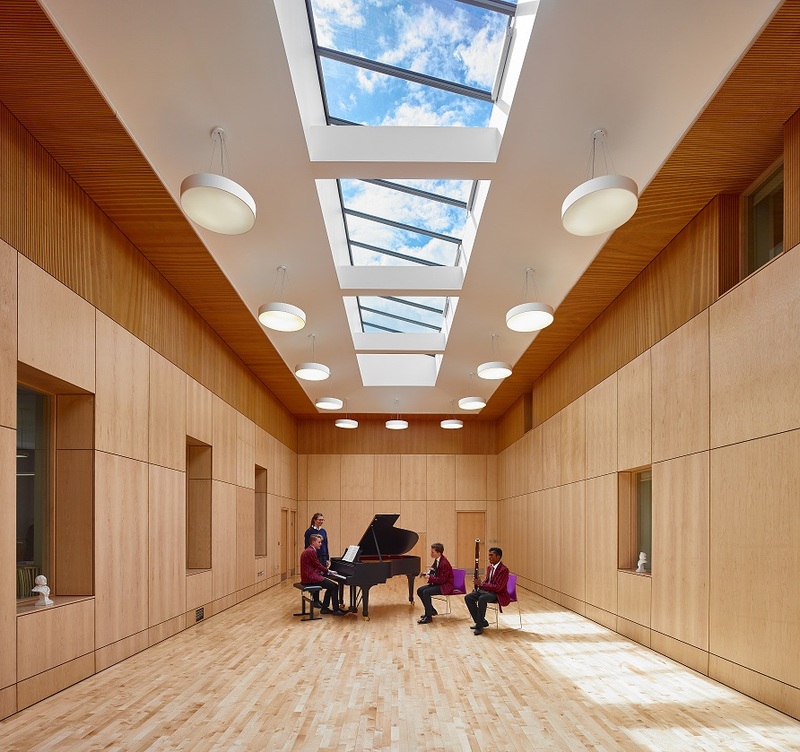 The central hub of the new music department is the large performance space, which is an inspiring architectural space, with fantastic acoustic qualities, promoting the importance of music as a faculty, art-form, pursuit and pleasure.